4" Commercial Plain Bearing Hinge with 1/4" radius corners. 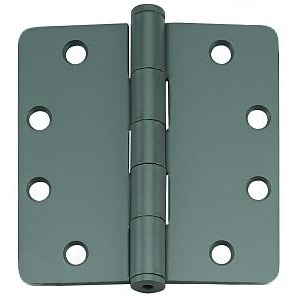 This hinge is for commercial or heavier residential applications. All steel base material. Features non rising steel pin with button tip and plug. Heavy 0.13 Gauge thickness. Five knuckle design. 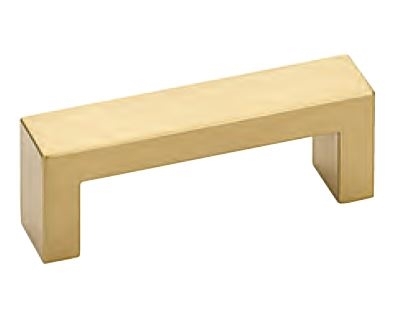 Also available with Square and 5/8" Radius corners. 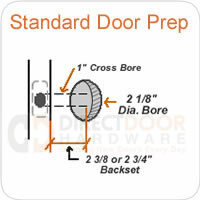 For doors equipped with automatic closer or high traffic, use ball bearing hinges.